Winnie's name struck cold terror in my heart." still some bite to it. Arnold Palmer defines what charisma is. the most important golfer in the last 50 years. about it. Palmer feels that cigarettes helped him concentrate. stopped, he would not be here today. 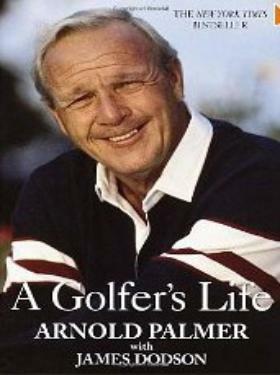 Palmer talks about several people in the golf world at length. observations about their divergent styles and personalities. about Player are quite funny. fight with cancer and the remarkable recovery he has made. figure and a symbol of the grace of golf. possible playing the game with his "Pap,"
Ooh and Aah over a golf shot." wife of nearly 50 years.